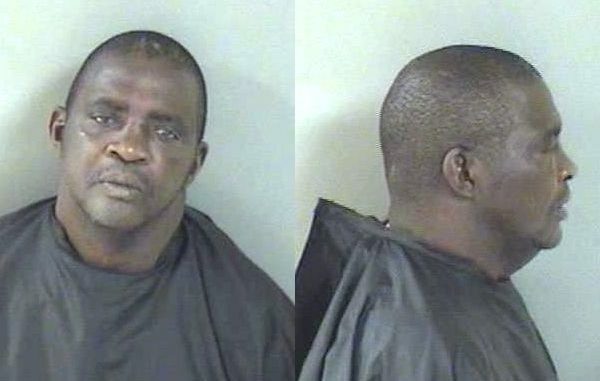 Man strikes girlfriend during jealous rage in Vero Beach. VERO BEACH – The Indian River County Sheriff’s Office received a call about a disturbance with injuries at a hospital in Vero Beach. Deputies made contact with the victim at the Indian River Medical Center. The victim had “small cuts and abrasions to both sides of her neck,” according to the report. The female victim’s clothing near her head and neck were covered in blood. She required staples to the laceration on the back of her head. The victim said her boyfriend, identified as 59-year-old James Cleveland Hargrove, removed a mirror from the wall of their room and struck her, causing the victim to lose consciousness, the report said. Our Vero Beach news reporter said the victim regained consciousness about 20 minutes later and heard Hargrove on the phone stating, “before I let her out this room, I’ll kill her,” the deputy’s report stated. A neighbor saw the scuffle and came to the victim’s aid, helping her escape from the home. Hargrove was transported to the Indian River County Jail where he was charged with Felony Aggravated Battery/Domestic Violence, Misdemeanor Poss Drug Paraphernalia, and Felony False Imprisonment.